Fab 'n' Funky Challenges: Challenge #68 - "All spotty and dotty"
Thanks for the coll challenge - who doesn't love fun spots and dots?!! The DT's creations are lovely. 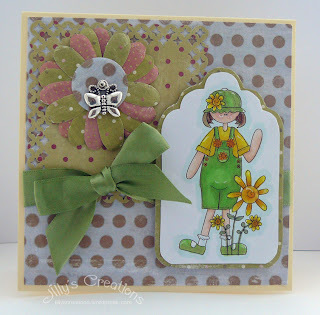 Polka dots are so versatile...work with any type of card. Thanks for the challenge! Lovely cards from the DT...thanks for sharing. wonderful dt cards full of inspiration. Love using polka dot papers. Such beautiful cards! How can anyone else compare? Thanks for the fun challenge! Lovely cards, DT! Sorry girls please DELETE NO: 37.
hi Guys..Thanks for the great challenge . this is my first timeplaying here. Wonderful DT Cards!!! Great Challenge! Great Challenge I thought it would be easy but it was not the case with my card. Gorgeous DT cards and fabbie challenge..Thanks!! Wonderful challenge; love the DT cards! So inspirational. Thanks so much for the chance to win and the great inspiration for this card. Thanks for the fun challenge to play along with. Thanks for the fun challenge! I love using dots on my projects. Thanks for the challenge, wonderful work by the DT. If I don't have enough spots and dots, feel free to delete. Beautiful job, DT.. And what a fun challenge! !